Bayer Healthcare, a pharmaceutical giant, revealed the resolution of thousands of Yaz lawsuits in its second quarter financial report for 2014. The company and over 17,000 claimants agreed to a settlement of over $1.8 billion. The plaintiffs had sued Bayer with regard to life-threatening side effects that were allegedly caused by the defendants’ birth control pills, Yaz and Yasmin. These lawsuits involved claims of deep vein thrombosis (DVT) and pulmonary embolism (PE). This recent settlement agreement is in addition to another settlement agreement with 8,800 plaintiffs who claimed they developed gallbladder problems as a result of using the birth control pill. Some of those plaintiffs required the removal of their gallbladder. Despite the significant number of Yaz lawsuits that have been resolved in recent months through settlement agreements, thousands of women are still awaiting a decision on their cases via a jury award or settlement. To date, about 5,000 Yaz claims are still pending against Bayer. This is in addition to the lawsuits filed with regard to the generic versions of the defendants’ medications, known as Ocella and Gianvi. Those generic medications were also manufactured by Bayer. According to Bayer’s financial statement for 2014, representatives for the company have undertaken a review of the plaintiffs’ medical records. Bayer has also determined that they might offer Yaz settlements for the 2,400 remaining lawsuits, which will be decided on a case by case basis. 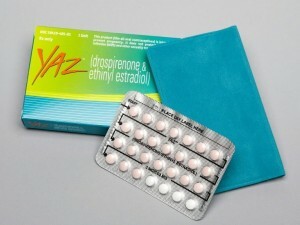 Yaz (drospirenone and ethinyl estradiol) works to prevent unintentional pregnancies by blocking the ovaries from releasing an egg, inhibiting sperm motility to the egg, and reducing the possibility of implantation of a fertilized egg to the uterine wall. When Yaz was entered into the stream of commerce, the defendants embarked upon an aggressive marketing campaign, which many plaintiffs and the FDA have labeled as deceptive and misleading. The plaintiffs allege that Bayer knew of the risk of serious, life-threatening side effects, yet downplayed the risks and failed to adequately inform consumers and healthcare professionals of the side effects. Yaz lawsuits have linked the popular birth control pill to an increased risk of heart attack, stroke, cardiac arrhythmia, gallbladder disease, and sudden death. The 17,000-plus lawsuits that recently reached resolution with a multibillion dollar settlement allege deep vein thrombosis (DVT) and pulmonary embolism (PE). The blood naturally clots to stop bleeding and enable the healing process. However, sometimes the blood clots in an abnormal fashion, forming a thrombus, or blood clot, within a blood vessel. When a thrombus forms in one of the deep veins of the body, such as those in the legs, it is referred to as DVT. Deep vein thrombosis by itself can cause pain and swelling in the affected leg. However, if not diagnosed and treated promptly, it can quickly turn into a life-threatening condition known as pulmonary embolism. PE can occur when a thrombus breaks free of the blood vessel from which it formed. A loose thrombus is referred to as an embolus. The embolus can then travel on the bloodstream to the lungs, where it can lodge in a blood vessel and cause symptoms such as chest pain, bloody cough, dizziness, and fainting. PE requires emergency medical care or it can quickly claim a life.